Quarterly Temahi Sanjh is a one-year new magazine on Punjabi literary scene that simultaneously publishes in Gurumukhi and Shahmukhi from Indian and Pakistani Punjab. In doing so, Sanjh attempts to fill two of the steepest gaps in Punjabi culture; the gap of division, and that of diversity. In the past few decades, on both sides of India Pakistan border, Punjabis have experienced with pain the consequences of physical divisions created by foreign and local political interests. This has prompted many of us to increase our efforts to communicate with each other as people. For years, human rights and cultural activists in Pakistan and India have worked together to form a consensus on this issue whereby both governments are lobbied, for example, in favor of less restrictive borders. From West Punjab, Fakhr Zaman, Karamat Ali, Mohammad Tahseen, Imtiaz Alam and Ahmad Salim are among the many people who have worked hard on the ground to bring about discussions and joint actions among Punjabis. We have not had that same clarity when dealing with the gaps created by our diversity; foremost among them, the usage of two different scripts. In this case, instead of yielding the ‘bad guys’ such as the local governments in case of divisive borders, the discussion on the diversity of Punjabi language scripts leads to a level of confusion where intellectuals and cultural activists shirk back before a consensus can be formed in our literary and cultural communities. The issue of two scripts raises many questions pertaining to our history as Punjabis, and the fact that the Arabo-Persian script was instituted by Muslim invaders replacing the indigenous script does not endear it to many Punjabis. Also, the ambivalence created by this situation manifests itself in larger communities where the two major respective religions of Punjabis, Sikhism and Islam, begin to take ownership of the language turning the scripts into scriptures. In this equation, each religious stream develops their ‘own’ script overlooking the other. A glaring example of it is found in the ‘Sikh Chairs’ in the institutions of learning around the world that blatantly exclude the Shahmukhi script and with it the literature of 60% of Punjabis by patronizing Punjabi language courses pertaining to Gurumukhi alone. Likewise, in West Punjab, authors recognized by authorities are the ones writing in Shahmukhi. Being a ‘Shahmukhi Punjabi’, if i can say so for now, i feel a terrible squeeze. First, there is not a possibility that getting a few ‘Muslim chairs’ will work to develop my mother tongue because the ‘Muslim’ identity in Pakistan is attached to Urdu not Punjabi; Second, the ambivalence of Punjabi opinion leaders on this issue is perpetuating a situation where Shahmukhi Punjabi faces gross neglect in most language development efforts. ‘Sanjh’ is not the first to acknowledges this issue. Magazines such as ‘MaaNboli’, ‘Pancham’ and others have shown a commitment to publish writers from both East and West Punjab, and have printed the writings of many Gurumukhi writers in Shahmukhi. Academy of the Punjab in North America (APNA), the Publisher of Temahi ‘Sanjh’, publishes Shahmukhi and Gurumukhi writings as well as the conversions. However, Sanjh is the first Punjabi magazine to affirm both the scripts by publishing the magazine in both. Another valuable aspect of ‘Sanjh’ is that it brings the ownership of both the scripts where it belongs, to cultural and literary activists. In that, it finds common ground where Punjabi is being eroded by Urdu/Persian and Hindi/Sanskrit vocabulary in Pakistani and Indian Punjab. Another interesting aspect of Sanjh is that it publishes from East and West Punjab while its editorial resides in Washington DC. Related humorous comments aside, this fact allows the publication to transcend some of the limitations faced by cultural organizations working in the Punjab, and enables it to reach out to both cultural communities while affirming the presence of the third. 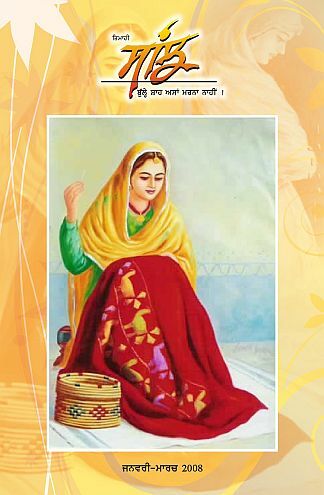 This entry was posted in Art, Language, Life, Literature, Punjabi culture, Punjabi literature, Punjabi magazines, Writings and tagged apna org, east and west punjab, editor safir rammah, gurmukhi shahmukhi text, punjabi literary magazine, Punjabi magazines, punjabi writers, subsribe to sanjh, temahi sanjh. I do write in Gurmukhi script .I want to have a place in your prestigious magazine Sanjh.Could you please provide me an opportunity for the same.I would be highly obliged. i want to write content for the magazine how can i? I am keen to give vent to my feelings by my pen which were hidden for last 40 years due my job in Army. Is it possible. would you please link my website as well. 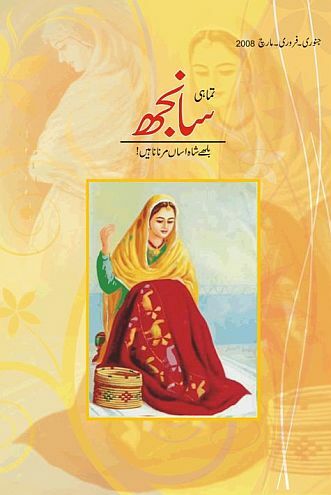 I want to get book of Lahore’s Villages, may be written it by Iqbal Qaisar. Where can I get it from? I am researching the origin of present day Gurmukhi Script which is used in Punjabi Primer – Ora Ayera Kayda for beginners. Could someone please help me in tracing when these alphabets were re-introduced in the present format, apart from Sri Guru Granth Sahib. I have come across a 1854 dictionary developed by a Christian missionary which seemed to have laid down the format as it is seen in present day Punjabi Primers. I would be very interested and earnestly request for any help in exploring the history of present day Punjabi language and Gurmukhi script – any helpful resource print or online or earlier research leads will be greatly appreciated.